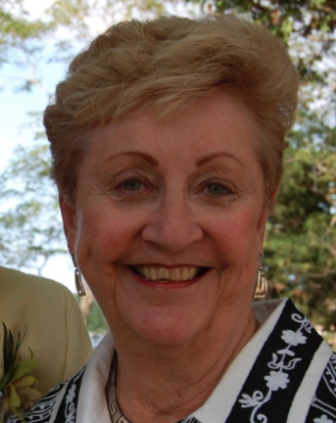 Carol “Corky” Lindemann Studley, of Shalimar, Florida and East Orleans, Massachusetts passed away on April 7, 2019 at 83. Carol Studley, 83, passed away on April 7. Her funeral will be on April 15. Born in Warsaw, New York on July 18, 1935. She graduated from Hastings-on-Hudson High School in 1953, where as a three- sport athlete, she was inducted into The Sports Hall of Fame in 2006. She graduated from Syracuse University in 1957 with an education degree and was a member of Tri Delta sorority. Corky spent the summers of 1944 through 1959 at Camp Wono — now Cape Cod Sea Camps where she was a camper, counselor and head counselor. She met her husband on Cape Cod and married in Dobb’s Ferry, New York 1960. She began her teaching career in Darien, and then as an Air Force military wife, she continued to teach in many of their new homes where she inevitably taught her 5th graders her favorite camp songs. Jim and Corky were stationed in Maine, Alabama, Texas, California, Bermuda, Hawaii and Florida, where they eventually settled. After teaching she ran the East Coast office of Barnette Industries, which enabled them to live their best life in both Shalimar and Cape Cod. She had a quick wit and could make any room she happened to be in more colorful. She was best known for her entertaining skills, flamboyant prints, her organization, perfect penmanship and her love of football and the Red Sox. She cherished her many friendships and was happiest surrounded by her four beloved grandchildren. She is survived by her husband of 59 years, James B. Studley — No. 1 Stud; son, Jeffrey L. Studley, and his fiancé, Suzanne Morris, of Shalimar; daughter and her husband, Elizabeth S. Bentley and Nigel K. Bentley of Acton and East Orleans, Massachusetts; four grandchildren: Blake K. Bentley, Sarah L. Bentley, Lincoln B. Studley and Corbin J. Studley; her loving sister, Mrs. Nicholas ‘Sue’ Staropoli of Portland, Oregon; and four nieces and a nephew. A celebration of life will be held at 10 a.m., Monday, April 15, at Emerald Coast Funeral Home, 161 Racetrack Road, Fort Walton Beach, Florida. In lieu of flowers, and to share her love of the summer camp experience, expressions of sympathy may be made in her name to the Grant W. Koch Scholarship Fund, P.O. Box 1404, Brewster, MA 02631.